I broke a nail from my swatch hand :( I swear it’s been months since I broke a nail from my left hand. I’ve broken a couple of nails from my right hand but my swatch hand has been perfect for so long. My hand slipped from the car door handle and I broke my index finger nail. The damage could’ve been far worse though. At least I was able to leave some length on them. I prefer my nails a little longer than this but I can live with these for now. So I decided to cheer myself up with a quick and simple manicure. I wanted to try my new gorgeous F.U.N. Lacquer Legend (Limited edition) with some of the Essie Spring colors and they all went together perfectly. Since Essie Nourish Me/Feed Me is no longer available here in Finland I need a new base under my Stuck On Blu! base coat. Yes, I use two base coats 99% of the time. The first base coat that goes straight on my nails needs to be a treatment type of base coat that is not a nail hardener. I need it to be more nourishing or my nails start to dry and peel. Since Nourish Me is no more, Essie Finland recommended that I try their Ridge Filling base coat instead. 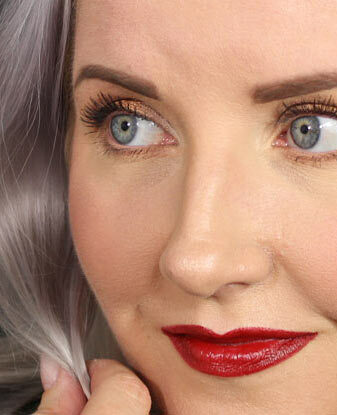 Looking for a great shade for Holidays but feel like the usual bright red isn’t really for you? Essie Toggle To The Top might be an answer for that polish problem. 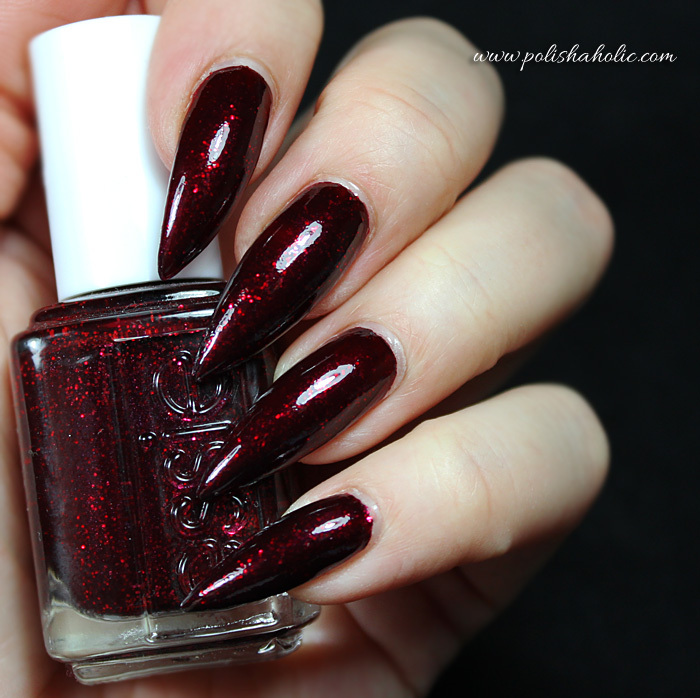 This deep dark red jelly with a lot of red glitter and shimmer is absolutely stunning. It just glows! Application was a little weird and I had to keep moving the polish on my nail for a bit to get the glitter to apply evenly. BUT one(!!) coat was enough for the result you see on the photos. One very generous coat also dried very quickly. This one is a bit of a top coat eater so I used two coats of HK Girl top coat. Base coat was IsaDora Peel Off Base. I absolutely loved this vampy red shade! ***Toggle To The Top and Peel Off Base were sent for review, HK Girl was gifted to me. I don’t benefit from clicking the links on this post in any way. Here’s my TIOT mani for this week. This is two coats of Essie In The Cab-Ana with G & G HK Girl top coat. This applies nice and smooth and two coats is enough for opaque result. I really like this color and it’s such a shame I let it sit there unused for almost the whole summer. Hello my lovelies! I hope everyone is having a great weekend :) Today I have a very quick post for you. This is Essie First Timer from the Resort 2013 collection. First Timer is your basic good quality pale mint green creme polish. Formula is good and application is smooth, opaque in two coats and dries fast. This is a perfect shade for spring and summer and this also makes a great base for glitter (which I’ll show you on tomorrow’s post). On this mani I used two coats of Essie First Timer and G & G HK Girl top coat. ***all products used purchased by me. This was two coats of Lilacism and HK Girl top coat. Happy hump day! Today it’s time for the letter O and my pick for that is Essie Ole Caliente from their Spring 2012 collection. 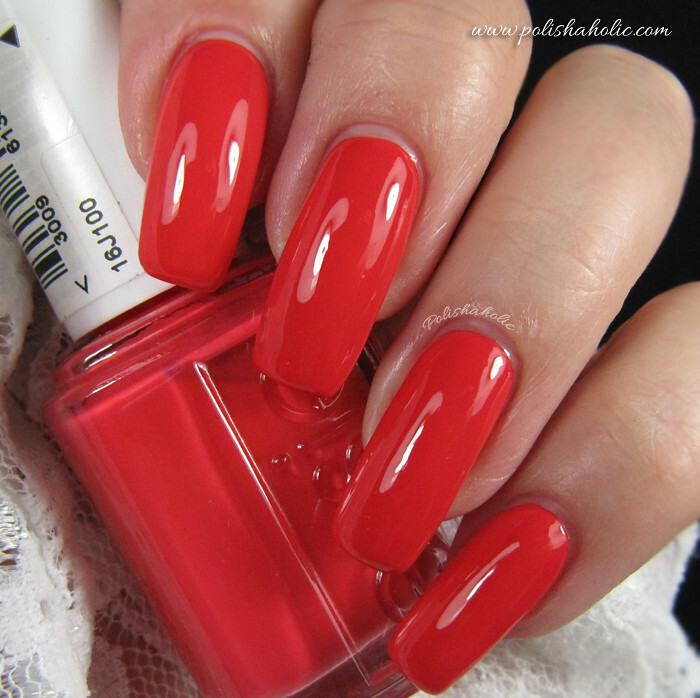 Ole Caliente is a bright coral-y red creme. Such and awesome summer color. The formula on this is great. It applies smooth as butter! I used two coats for this mani but for shorter nails this is a one coater. 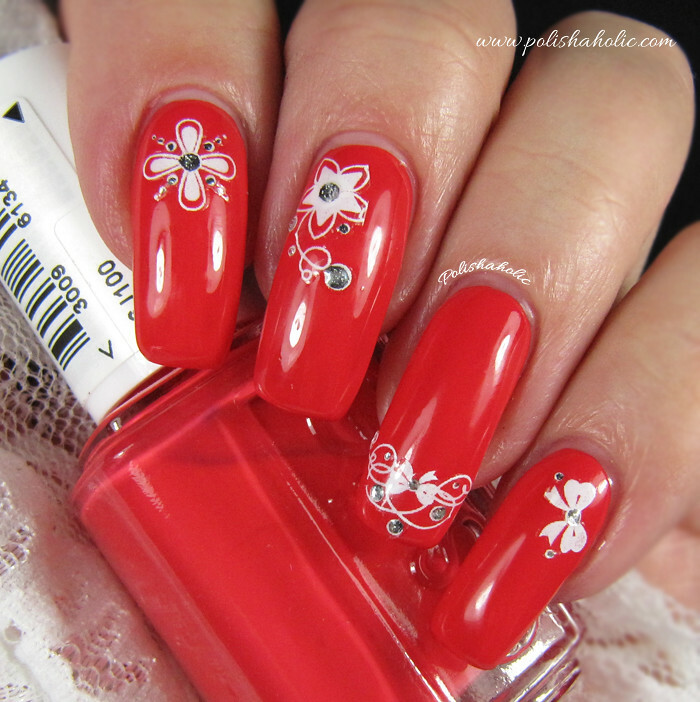 I love these bright reds! For this mani I used two coats of Essie Ole Caliente and HK Girl top coat. Tänään on vuorossa viikottaisen ABC haasteen O kirjain. Tällä kertaa valitsin Essien Ole Caliente lakan kevään 2012 kokoelmasta. Tämä on ihanan kirkas korallinpunainen creme. Täydellinen kesäsävy! Tämä on laadultaan erinomainen ja levittyy todella tasaisesti. Näihin kynsiin käytin kaksi kerrosta, mutta lyhyempiin kynsiin riittää yksi kerros. Minulla on iso kasa tarroja, decalseja sun muita ja en käytä niitä juuri koskaan. Tällä kertaa päätin kuitenkin tarttua tarra-arkkiin ja liimailla muutaman valkoisen Artclub tarran tämän manikyyrin koristeeksi. En oikein tiedä mitä mieltä olen lopputuloksesta. Ihan kaunis, raikas ja naisellinen, mutta mutta, jokin vaan tökkii. Ehkä pidän kuitenkin enemmän akryylitöherrysten ja lakkojen kanssa aikaansaaduista persoonallisemmista kynsikoristeluista. Tähän lakkaukseen käytin kaksi kerrosta Ole Caliente lakkaa ja pikakuivattajana HK Girl top coat.